Read online ""The little children that are gone."" by [Chapin, C. B. Mrs.], [from old catalog] comp. Instant free e-book download at OnRead.com. 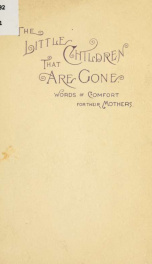 "The little children that are gone."